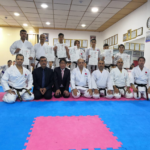 after testing a group of our players in Dan 1 black belt exam on 14/12/2018, seven players could pass successfully . 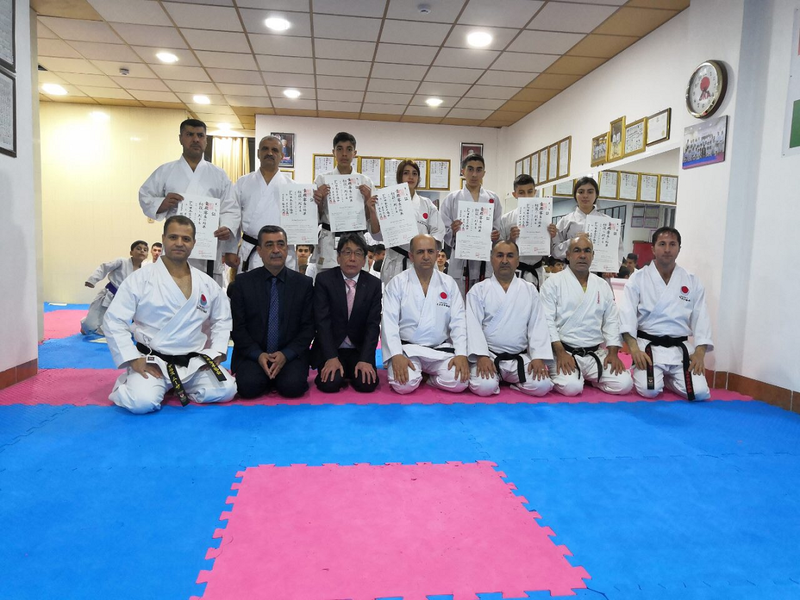 After receiving the certificates from Japan, we invited Mr.Moriyasu the Japanese Consul in Kurdistan to participate in our ceremony on 7/3/2019. 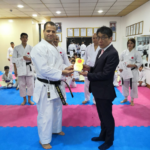 Respected Mr. Moriyasu expressed his gladness and participated in our ceremony by reading the certificates in Japanese language for giving more encourages to our players and giving appreciate to our activities. 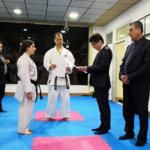 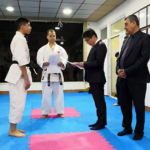 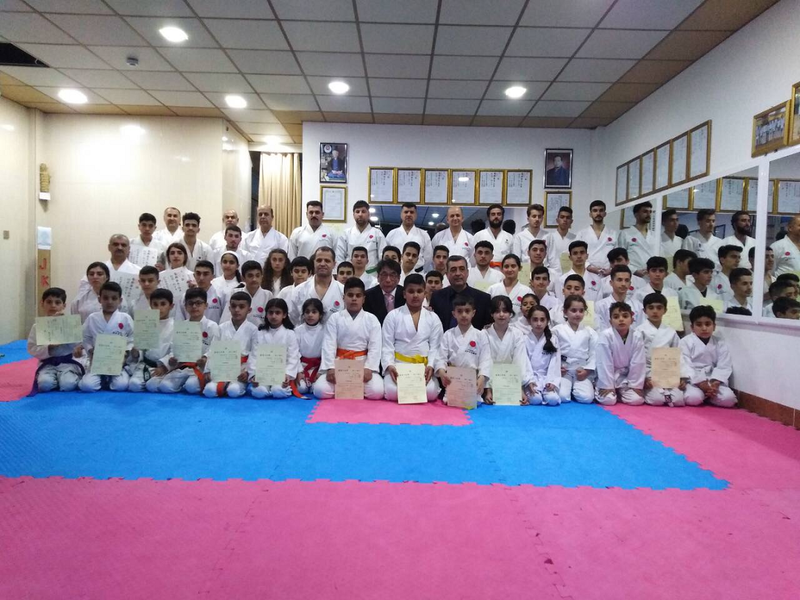 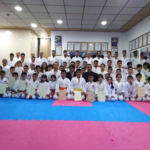 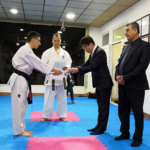 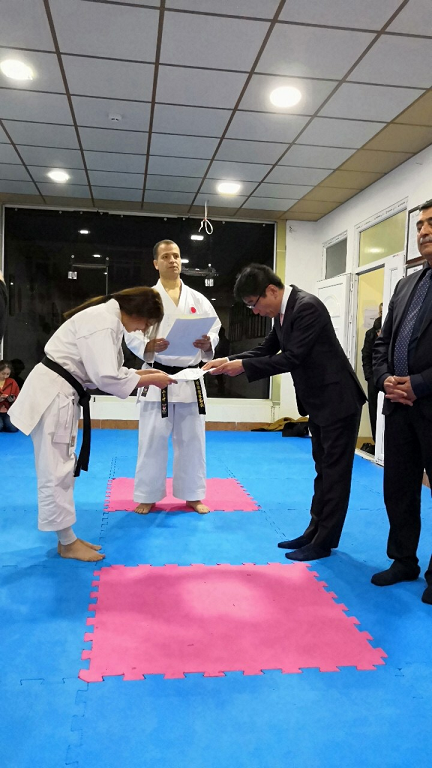 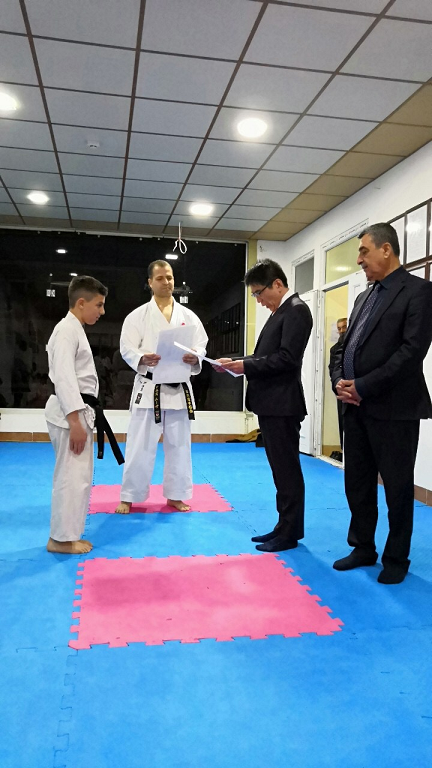 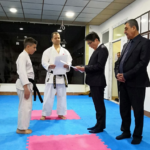 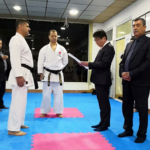 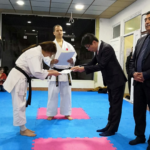 On that day Kyu certificates color belts are given also by Mr.Moriyasu to some players in each four branches of Kurdistan JKA from sulaymaniyah, Halabja, Penjwen and Khanaqin. 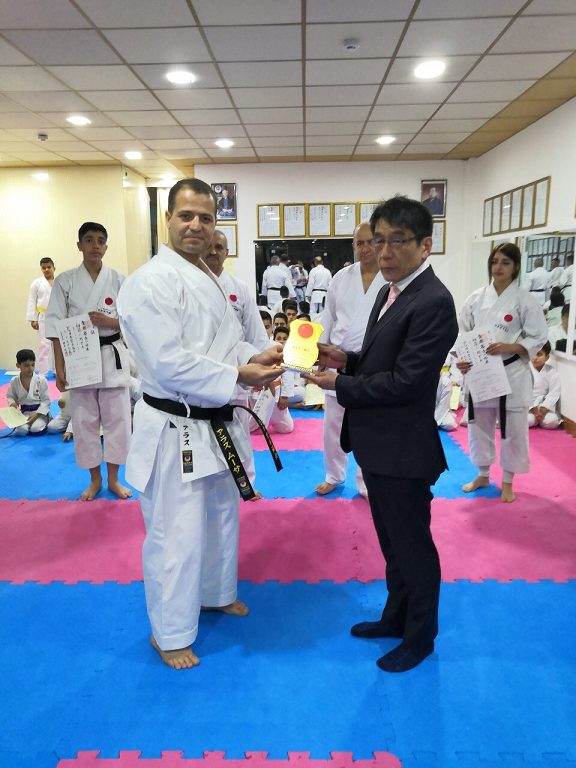 After the ceremony we provided the official shield JKA-Kurdistan to Mr. Moriyasu. 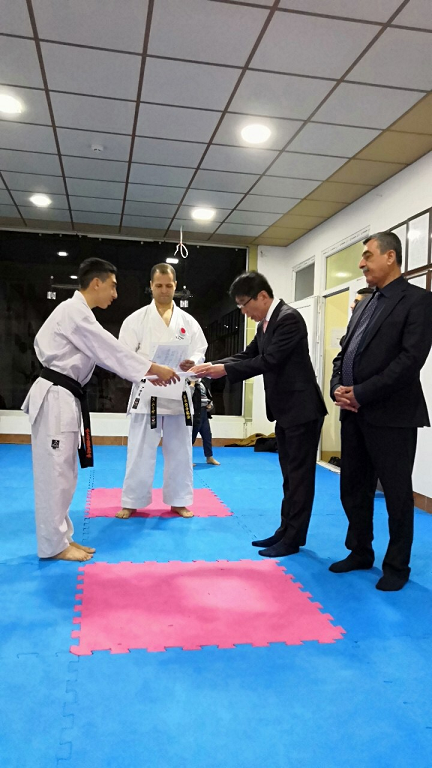 From here through this Email we are as Kurdistan JKA representative appreciate Mr. Moriyasu’s constant support. 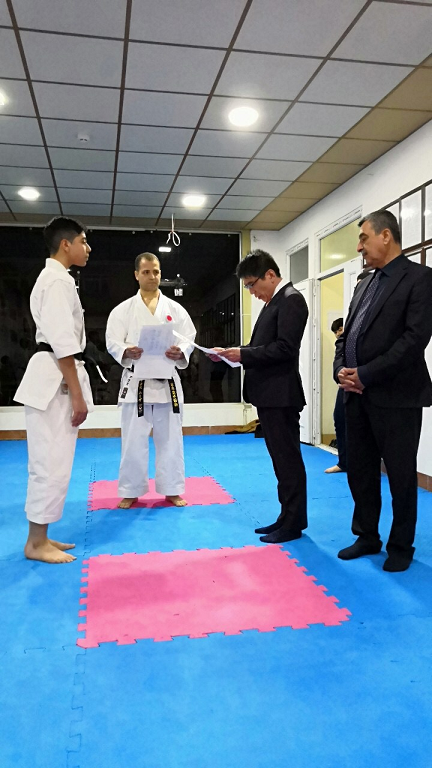 That’s why we have a suggestion for your highness but it is only a proposal at last it is your decision to send him a thankfulness and estimate written to Mr.Moriyasu the Japanese Consul because of the following reasons.